I was diagnosed with depression when I was young — just 15 years old. And while my treatment (and diagnosis) has changed since that time — in 2016, I learned I have bipolar and a mood stabilizer was added to the mix — I have been on medication most of my adult life. The only periods in which I have been off it were during pregnancy, when I was breastfeeding and the few times I decided I was “OK” — when I deemed I was stable enough to no longer needed the drugs. Of course, those times reminded me I was anything but stable. I would slip into long, deep, suicidal depressions or become hypomanic — which for me, involves excessive energy and creativity. I write thousands of words an hour and run. A lot. (Like, I will run for two hours… or more.) And I do impulsive things, like change my hair color or get yet another tattoo. However, the crash always comes. It’s inevitable. I flounder. I fall. Eventually, I can’t get back up. So I take uppers and mood stabilizers and drugs that calm me — that settle me down. And I take these medications all the time, i.e., I take them when I am at work, when I am home and when I am alone with my daughter. But the latter is the one that’s, apparently, the subject of controversy. The latter leads to whispers and criticism. Because plenty of people have judged me because of my illness. I’ve been called “weak” and a “pill popper.” I’ve been accused of taking medication to “tune out” or “zonk out” or avoid the harsh realities of life, and some have even suggested I should have my kids taken away. Because parents should be of “sound mind,” and somehow treating my mental illness makes me… “unsound”? But the truth is, I’m neither a bad person nor a bad parent. Medication does not make me a bad mom, and I don’t take Zyprexa, Lexapro or Xanax to hide from my feelings or to numb them. I take medication — prescribed medication — to quiet my mind, to stabilize my mood and to help me be a better person… and parent. And yes, Zyprexa, Lexapro and Xanax make me a better mom. And I’m not alone. As HuffPost reports, in 2011, Medco Health Solutions research showed that 1 in 4 women are/were taking an antidepressant — and many more were taking antianxiety meds. Why? Because millions of us struggle with mental health, and millions of us need a leg up to parent. We need a leg up in life. I’m not always proud of my dependency on drugs. I feel guilt and shame. I wonder why I can’t be “normal” and why my daughter has to grow up with that mom, the one who has a short temper and cries often. The one who is snippy and unbalanced and full of angst and the one who often finds herself in need of a nap. I feel this guilt and shame whenever I simply lie on the couch while my daughter colors or watches cartoons. The good news is: Because of my medication, the couch days are the exception. My medication helps me focus and function. It keeps my emotions level and keeps me in check. And it allows me to play (and be present) with my daughter. I can actually see a life outside myself and outside my own mind. And not only do I deserve that, but my daughter deserves that. She deserves a sane mom. A healthy mom. A present mom. A mom she can talk to and lean on. Besides, no one would judge me if I took insulin to manage diabetes or statins to control my cholesterol. 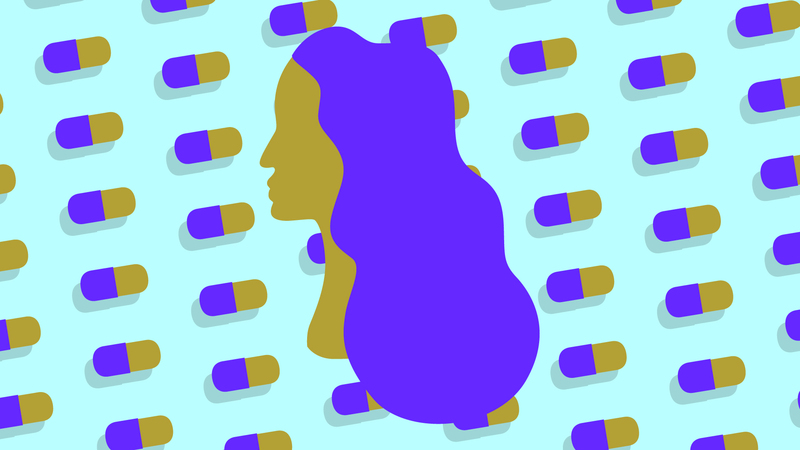 So why should anyone judge me for taking medications that manage my mental health? That manage my mind? If you are struggling with mental illness and/or having suicidal thoughts, please call the National HopeLine Network at 1-800-784-2433 or text “START” to 741-741 to speak to a trained counselor at Crisis Text Line.